Speedy the cheeky house bunny: Lots going on today! Well its Thursday and boy are we ever busy with lots going on here at home and my job at mission control with Nylablue and her mum Sherri-Ellen for Sammy's Moon Mission,I was going to go to the moon with Sammy but I decided to stay and help Nylablue and her mum instead.I figured my closet travel would come in handy if something cropped up on the rocket or the space station or even at the hotel. so don't forget to pop back later for the launch of Sammy's Mission to the Moon! Its going to be very busy for sure and full of excitement! Oh how fun! You are on a big mission alright! Make sure to stay on top of things..or at least keep everyone on top of their duties! Happy Thoughtless Thursday friend! I think it's really nice of you to stay behind and make sure things are going well on the technical side Speedy! Aw good for you for staying behind to help! Woo hoo! You're so good to stay with Miss Nylablue and her Mom. How fun!!!! Mission control is very important. Have a safe lunar trip! 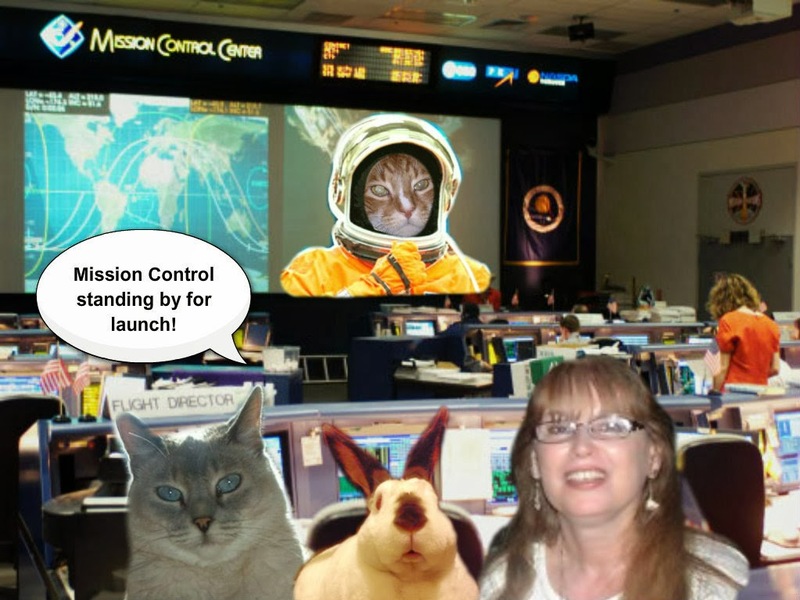 Speedy I'm so happy you were in Mission Control to help Nylablue.....her health has been "iffy" so it was good for those of us on the spaceship to know Nylablue had backup if she needed it! You're doing a SUPER job - tomorrow we head back to earth and I know we'll all feel safe knowing you're there in Mission Control! !